Hey everyone, it’s Joan! I don’t even know where to start! First of all, I’d like to apologize for the late update. We’re still recovering from the awesomeness of our Hawaii vacation. We didn’t get to do as many ramen runs as we planned, but at the same time, we didn’t want to get sick off of sodium. But we had at least two! 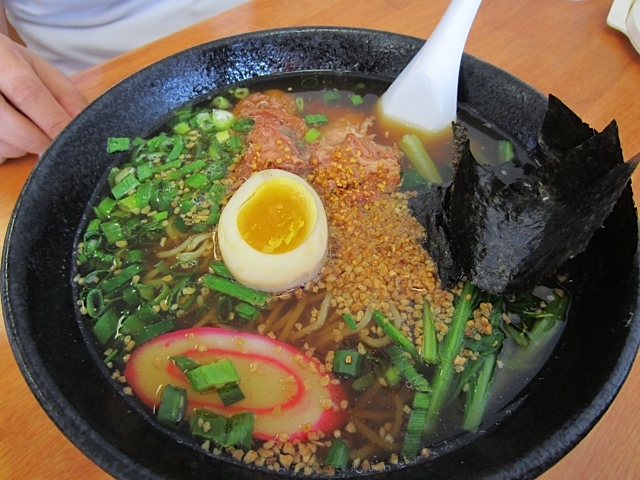 Also, I tried to keep this blog focused on the ramen, but it was hard to leave out everything else we did. Before I even get started, I should probably explain how we ended up in Hawaii. Tanya and I had just finished our ramen run back in February and were sitting in her car trying to figure out where to go next. She and I have very hectic and demanding jobs so we figured we should go somewhere far away for a short vacation. First we thought of going to San Francisco for a 4 day weekend type of deal, then we started calculating the costs of getting there, (we were planning to fly because we both drive beat up cars), how much it’ll cost to stay at a hotel, and what our transportation was going to be to get around town, and of course, food costs. It seemed like too much money for such a short trip and neither of us knew anyone in San Fran, so it just didn’t sound like a good idea as our first vacation on our own. 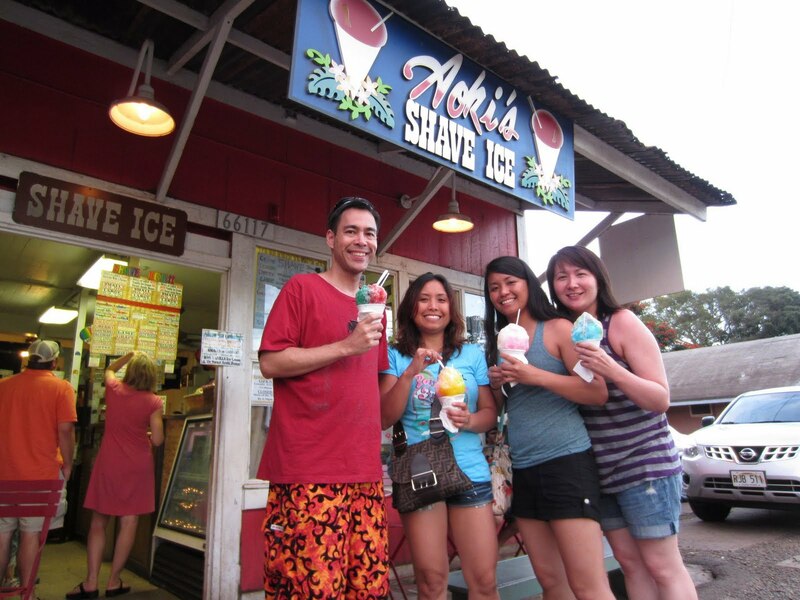 Then I brought up going to Oahu, Hawaii. My sister lives there so we can stay with her, she knows the whole island like the back of her hand, and all we would have to do is buy our tickets and pay for food! I think the costs would have been the same compared to San Fran, but Hawaii just sounded so appealing! 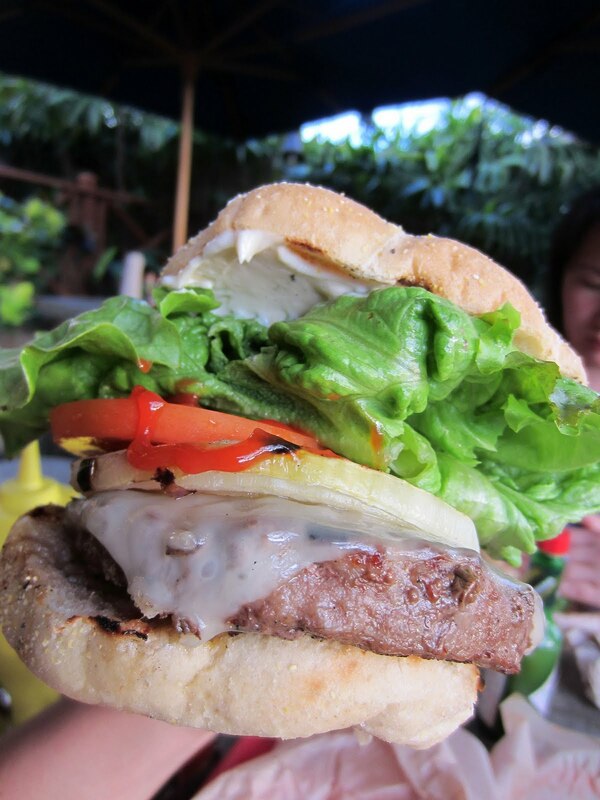 And because I used to live there, I know that Hawaii makes awesome food! So here it goes! When we first arrived in Honolulu on the evening of April 13th, my sister took us to Zippy’s (kinda like Hawaii’s version of Denny’s) for a late dinner. 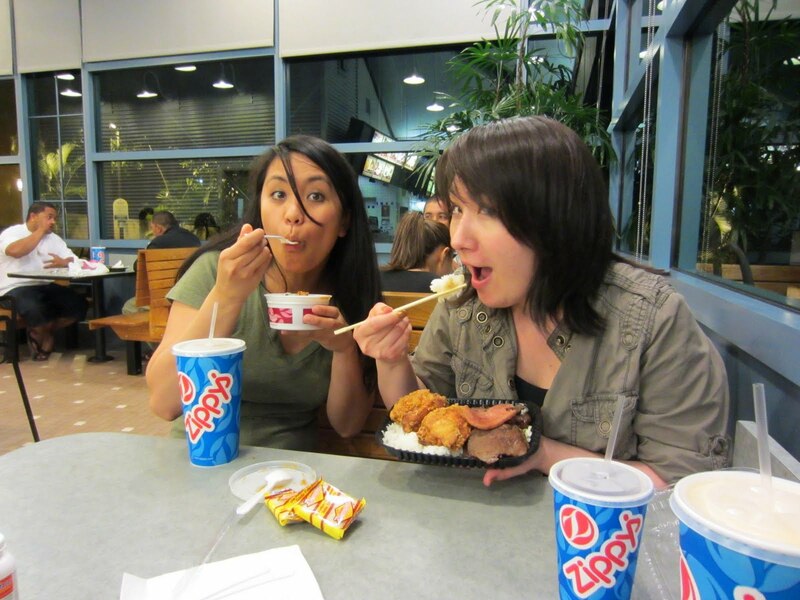 I had the popular Zippy’s chili, and Tanya got the Zip Pack, which included teriyaki beef, fried chicken, and of course, SPAM!!! Then we made a quick stop at a Wal-Mart, and I gotta say, it was a pretty weird adjustment seeing everyone shorter than us! (I’m 5’6″, Tanya is 5’7″, and almost everyone we saw at the store was about 5 feet). It was weird because in Cali, we’re considered average height, but in Hawaii, we felt like giants! 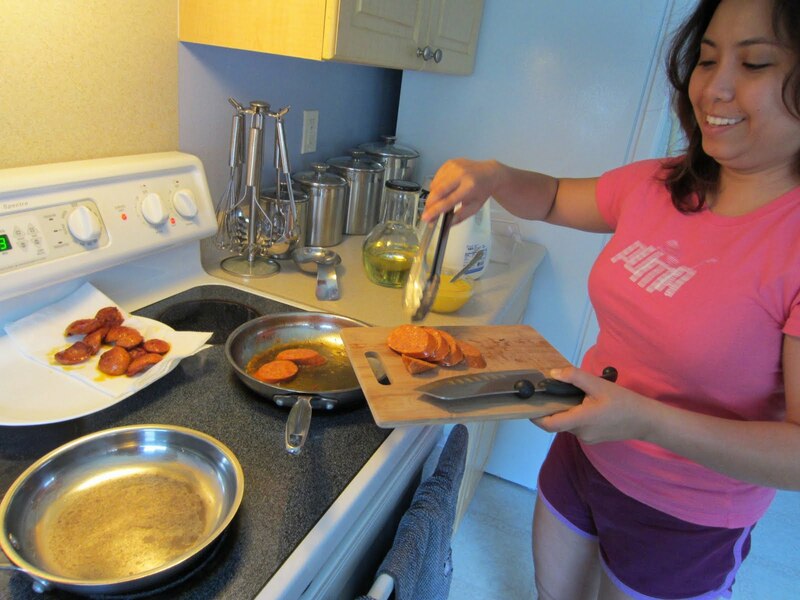 My sister, cookin up some Portuguese sausage! One of our collectible cuties. We call him Tay-Tay. 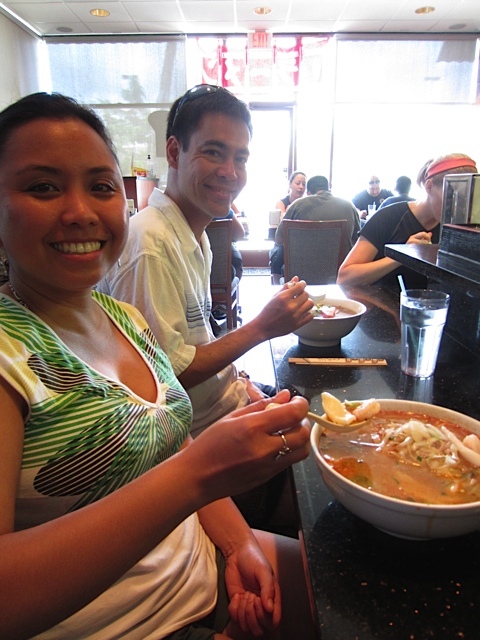 One of the best things about going to Hawaii was that we were able to have my sister, Frances, and her husband, Patrick, join us on our ramen runs! My sister has been a dedicated follower and so she was extremely excited to go with us! 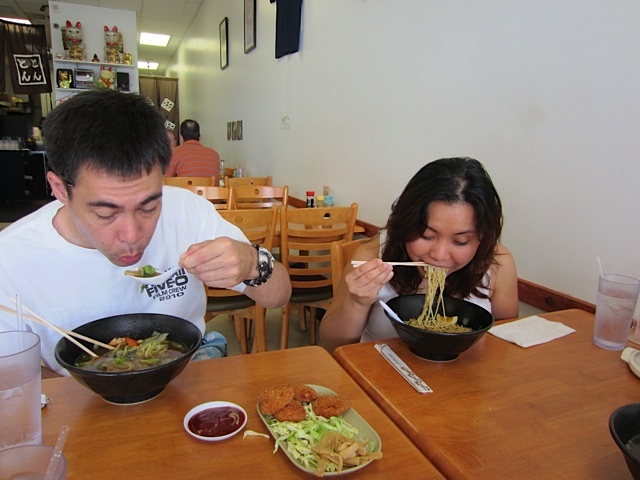 The first place we checked out was Ton Ton Ramen in Waipahu. We were greeted by a little asian lady with, “hi hello!” That cracked me up. Inside. My sister would understand. I ordered the house special which was the Ton Ton Ramen, and it had chicken katsu, a slice of pork, a slice of kamaboko (or fish cake), corn, bamboo (which I forgot to ask to have removed) green onions and half a boiled egg. Usually I like to order the tonkotsu or the house ramen, but they didn’t have tonkotsu ramen. 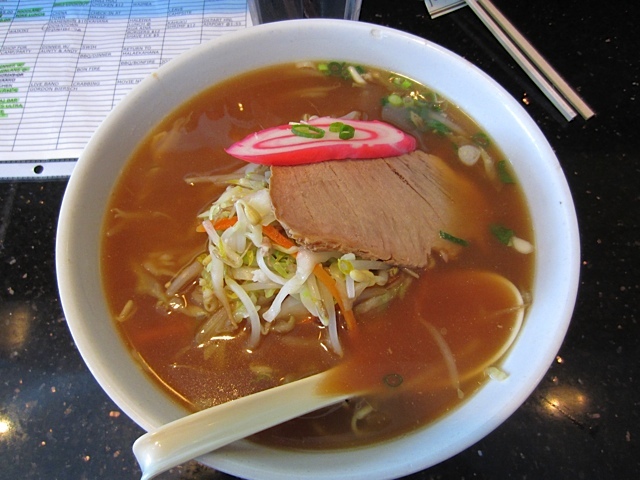 When I tried the broth, it didn’t taste like what I usually expect from the ramen I’ve been used to so I had to ask. The server said that all their broth is from pork and they just add the different flavors to it. I guess I had the miso flavor. It was good for what it was, but I was hoping they would have just a plain broth flavor so I can compare to how they make it in the mainland. Overall I thought it was good. 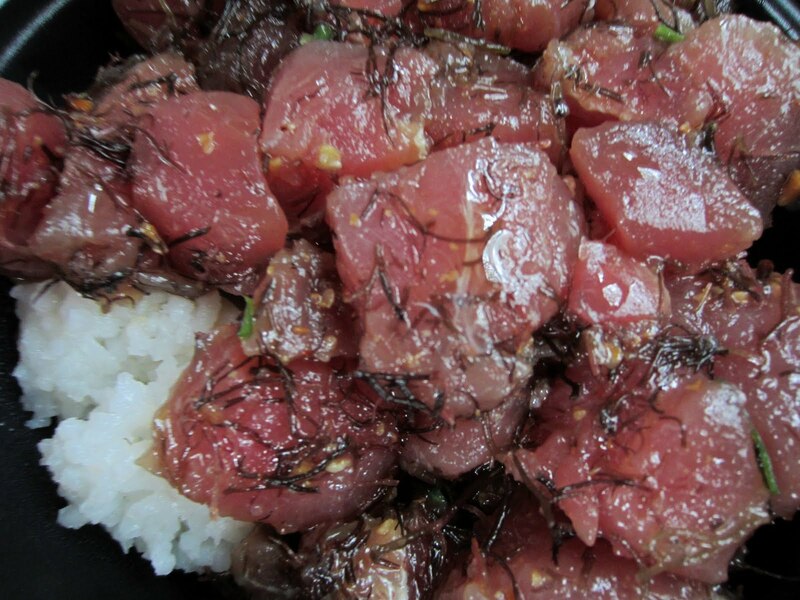 The variety of toppings worked well together, and the slice of pork was nice and tender. It was certainly different, but that’s what this ramen run is all about anyway. 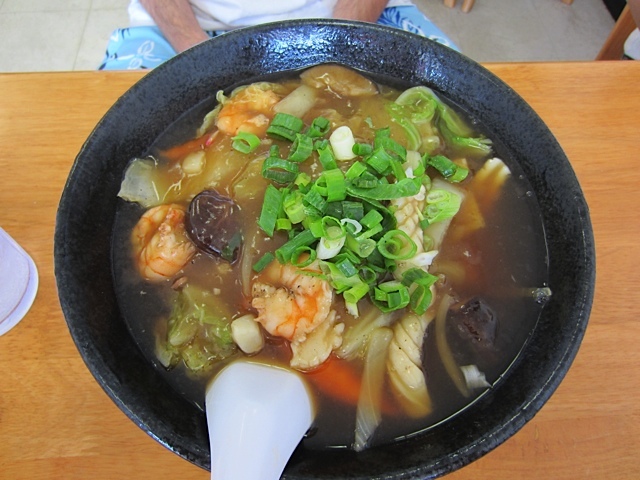 To try different ramens from all over! The best part about Ton Ton Ramen was that they did not use MSG at all. So after the ramen, I didn’t feel swollen or anything at all. Just satisfied. 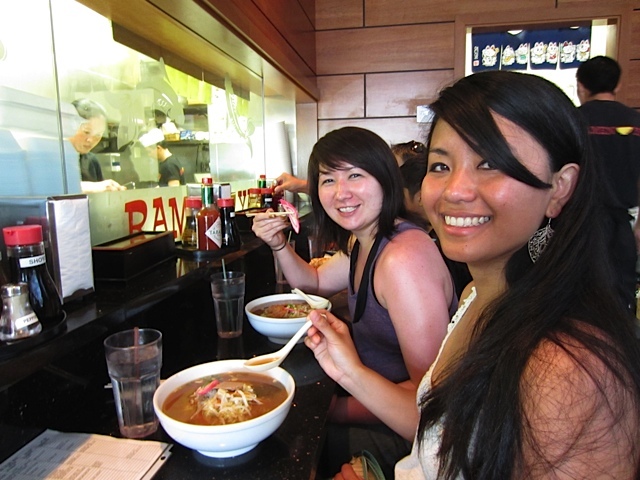 Tanya with black sesame ramen, and myself with the Ton Ton ramen. Patrick with the seafood ramen and my sister with the soft rib ramen. The next couple of days was like heaven for us. The scenery of the blue ocean, green mountains, and brick-red dirt, all the bright colors were pretty overwhelming to our eyes! And we made it a point to be in the ocean. Every. Single. Day. I also got to surf which was awesome!!! Tanya also got to try paddleboarding, which is pretty popular right now. 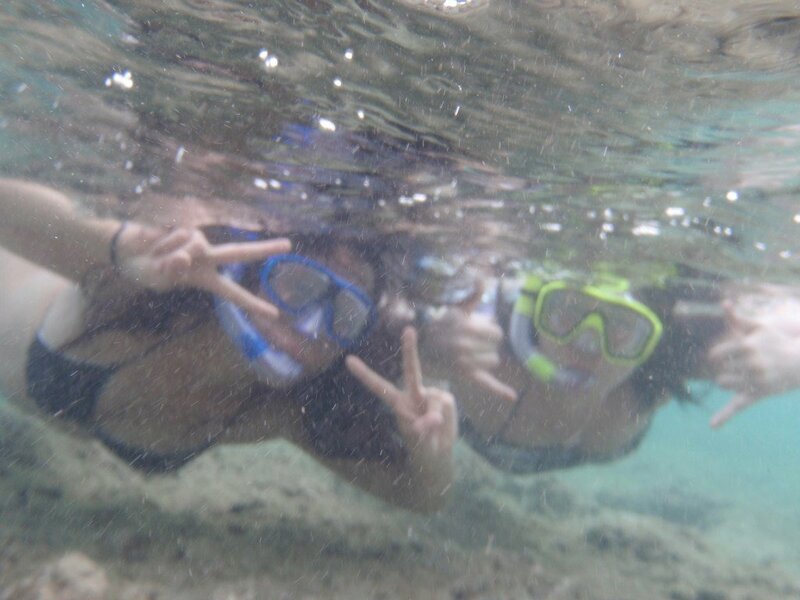 We also did a lot of snorkeling, which was so fun because we got to swim with all kinds of colorful fishes and 3 turtles! 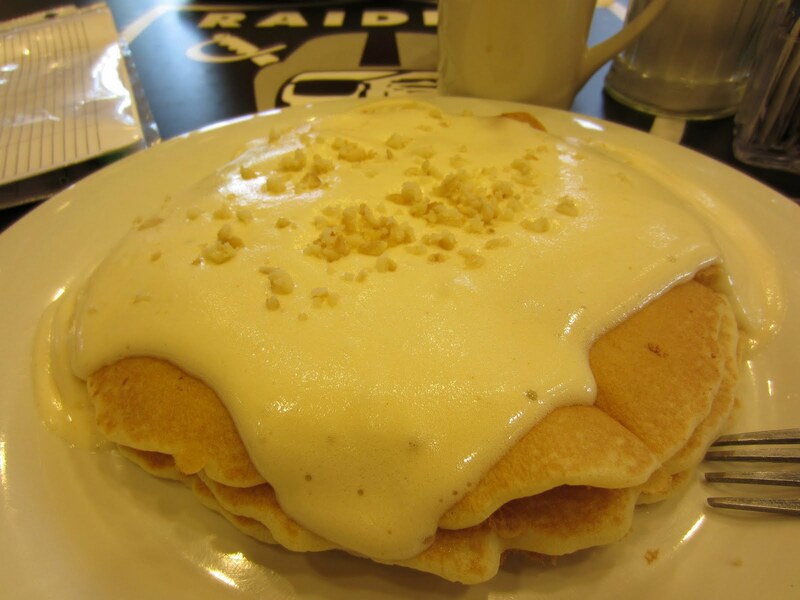 I bet that made you hungry….. 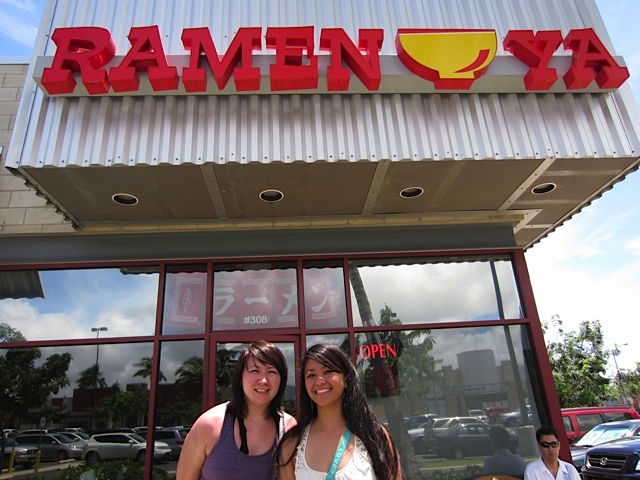 The second place we went to was Ramen Ya in Pearl Kai. It was a pretty cute looking place, and there was a pretty big crowd so I was really looking forward to try the ramen. They didn’t have any tonkotsu again or a house special ramen, so I ordered the shoyu ramen. Honestly, the ramen was okay. I have a feeling it had MSG because it was pretty salty. I didn’t like the flavor of the ramen much because I couldn’t even tell what the flavor was. The slice of pork it had was nice, it had no fat and was pretty tender. 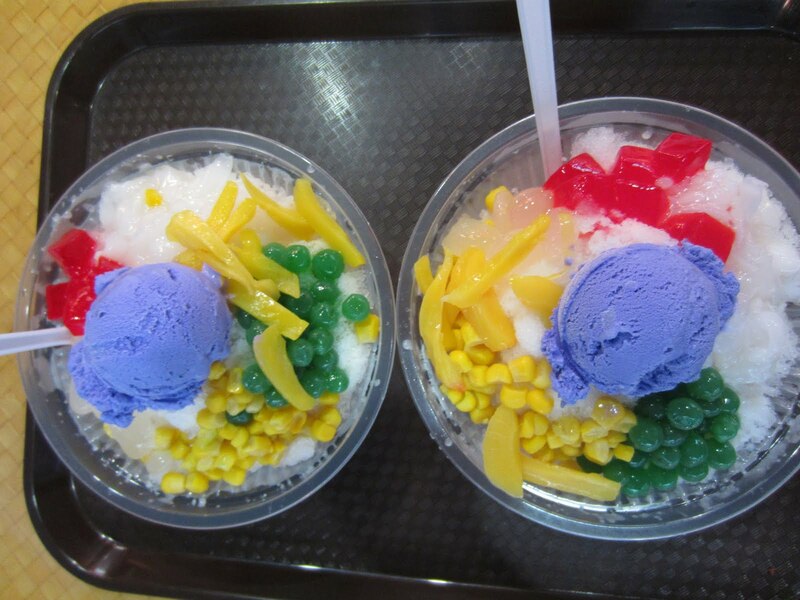 The thing that bothered me most was that they put TOO much bean sprouts! I like bean sprouts, but it seemed to take up half the bowl! The noodles I thought were a little too soft. 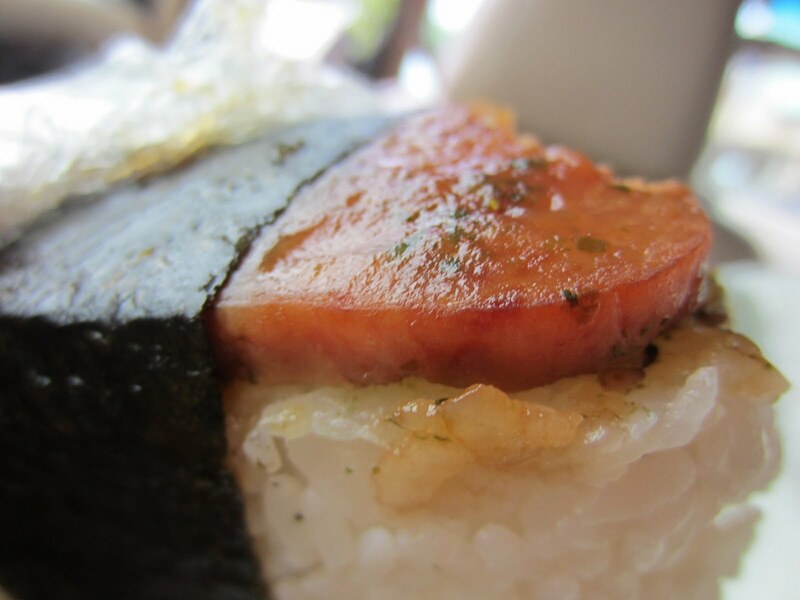 It also had a slice of kamaboko. 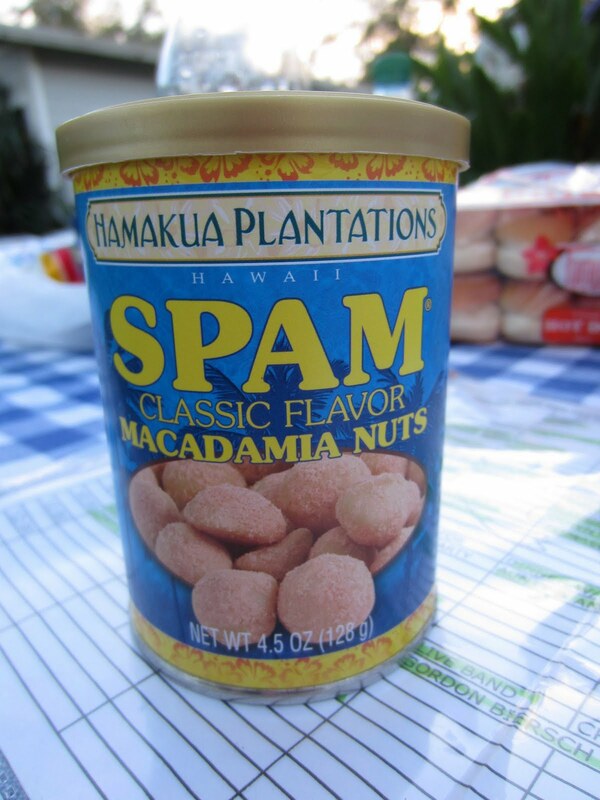 I guess they really like fish cakes in Hawaii! 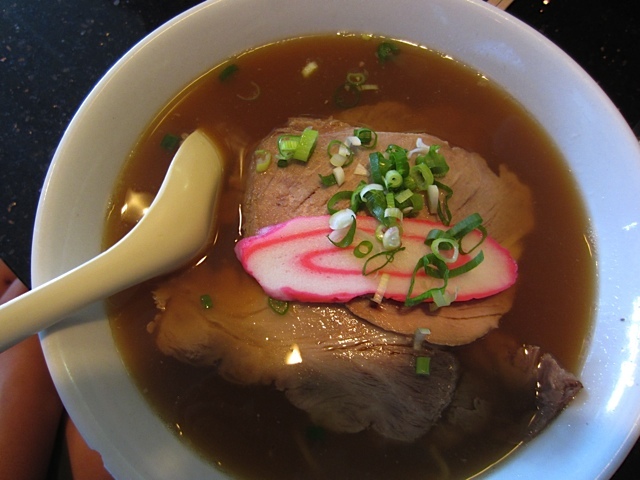 Anyway, the broth was a little too salty for me so I couldnt finish it. My sister ordered the seafood ramen and Patrick ordered the charsiu ramen. Hey! Tanya here! Oh maaaaaan, I ❤ Hawaii! It was so beautiful out there! 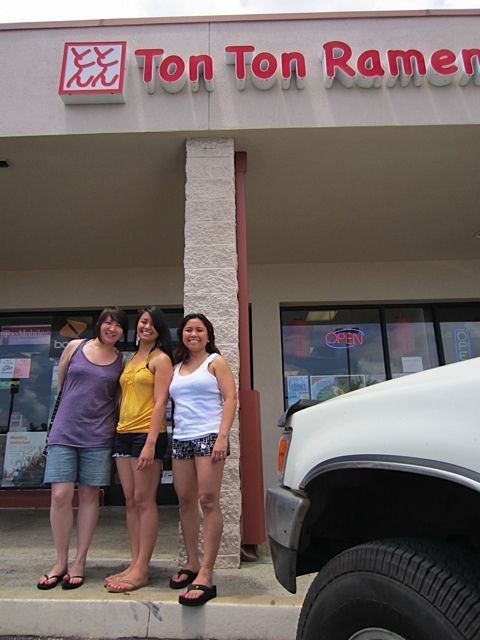 So we decided to make Hawaii our first epic ramen run and I’m so happy we did. Not only did we have an awesome environment, the food was pretty good too. I did like Ton Ton Ramen more than Ramen Ya. 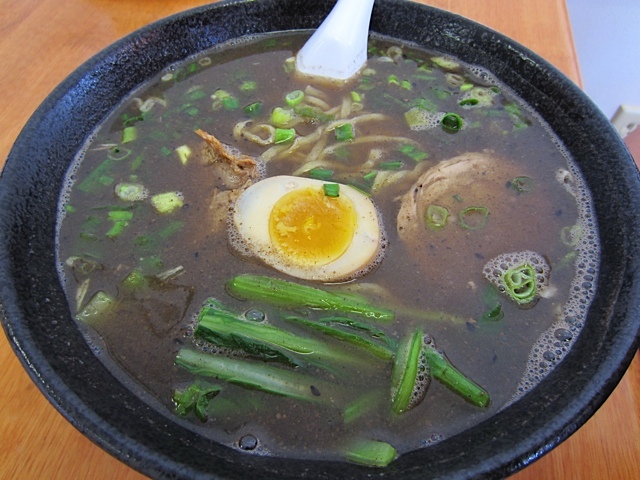 I had the black sesame seed ramen (yeah, the broth looked murky but it was so tasty. 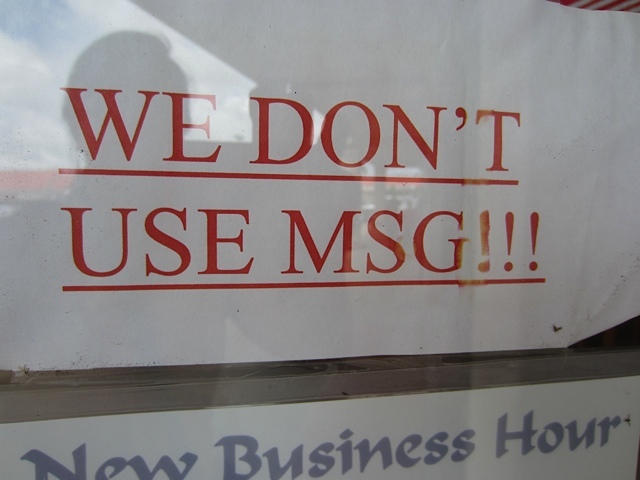 I was really happy that Ton Ton didn’t use MSG. 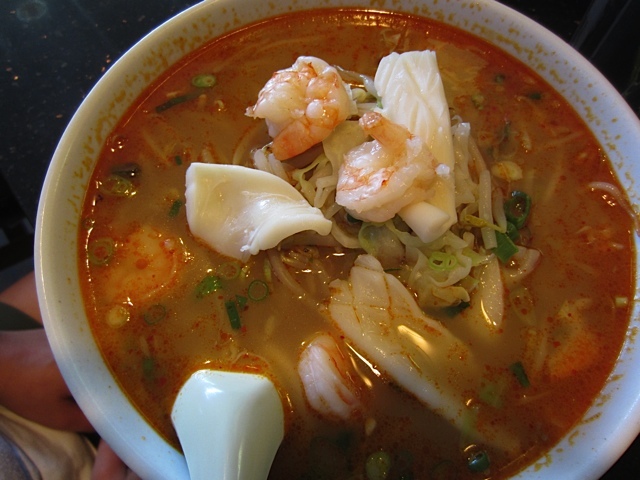 I felt refreshed after eating there, the portion was good, the noodles had a nice texture and wasn’t soggy. The oil was just right, I don’t really care for big oil bubbles floating at the top. The service was pretty good and the size of the place was spacey enough and I was happy there wasn’t a crazy amount of people when we went. Ramen Ya’s ramen was pretty tasty, a little more salty than I’d like but still good. The only thing I didn’t care for was the amount of bean sprouts. Our last few days in Hawaii was spent at a campsite called, Friends of Malaekahana, located on the east side of the island, near a Mormon town, La’ie. It was a very pretty and lush area. It was very quiet too. When we arrived there on that Sunday, everything was closed! Well duh, it is a very religious town. The only place that was open was a McDonald’s and a small grocery store called Tamura’s. 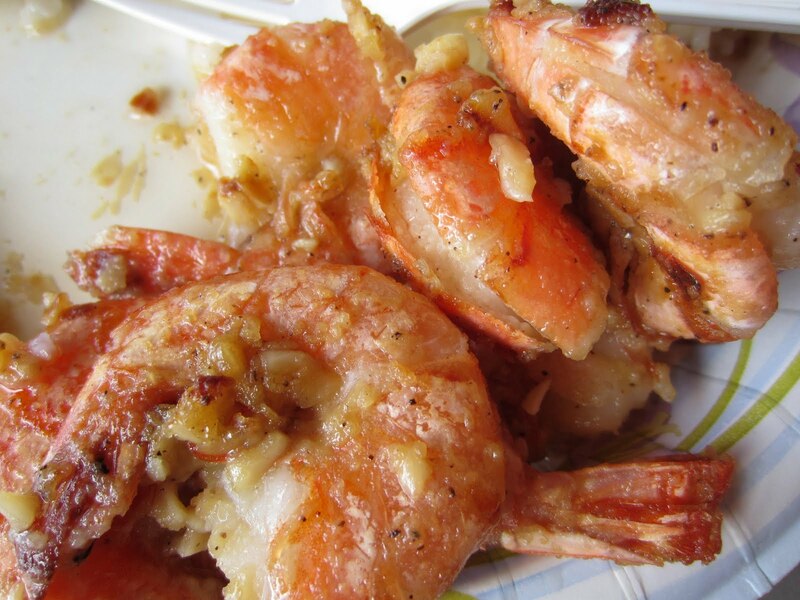 And boy, did we find some interesting eats there too! 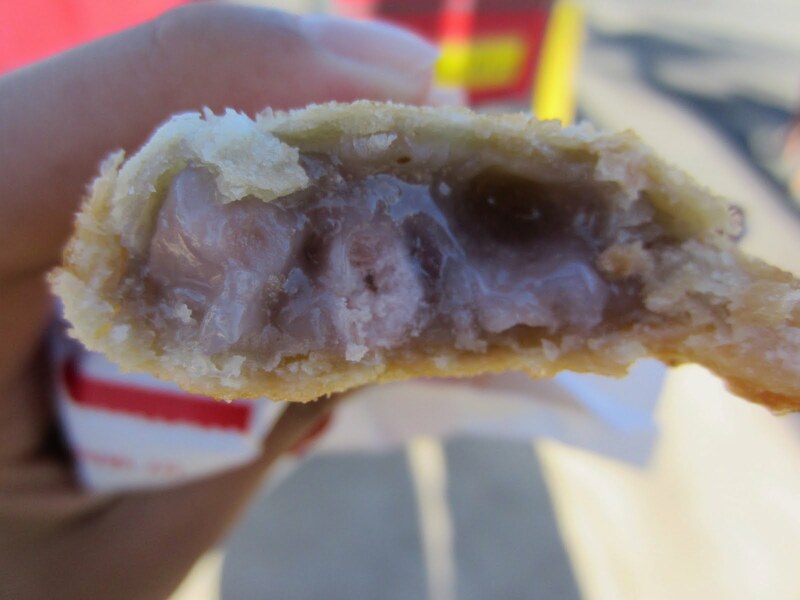 Taro pie from McDonald’s We couldn’t believe this existed…. 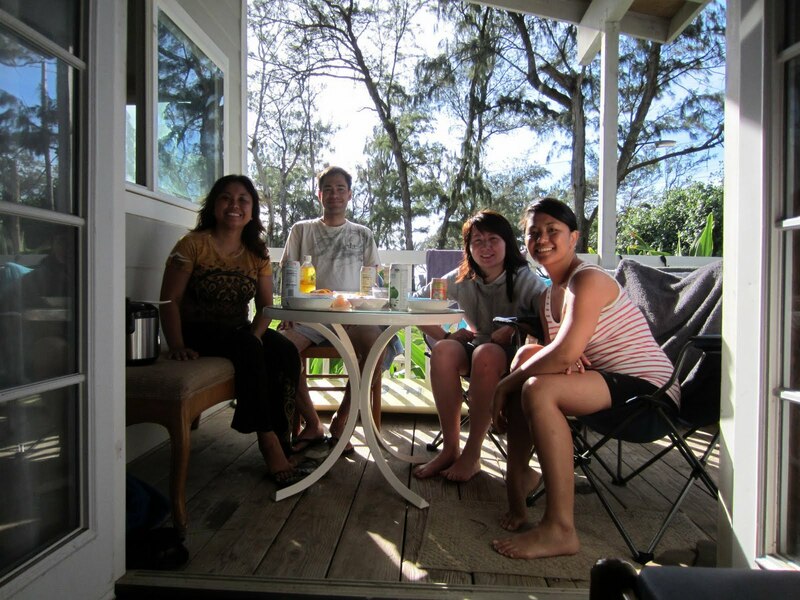 We spent 3 days and two nights at Malaekahana. 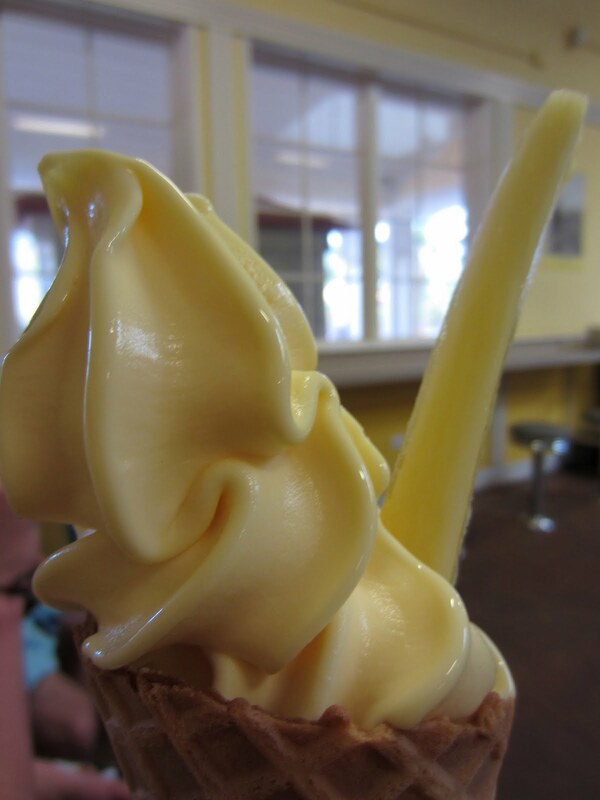 But from there, we also wondered off to the Kailua side, where we discovered those pancakes, got to float around all day in innertubes at Lanikai, checked out the North shore, and the day we left the campsite, we stopped by the Dole plantation to have some awesome pineapple ice cream! 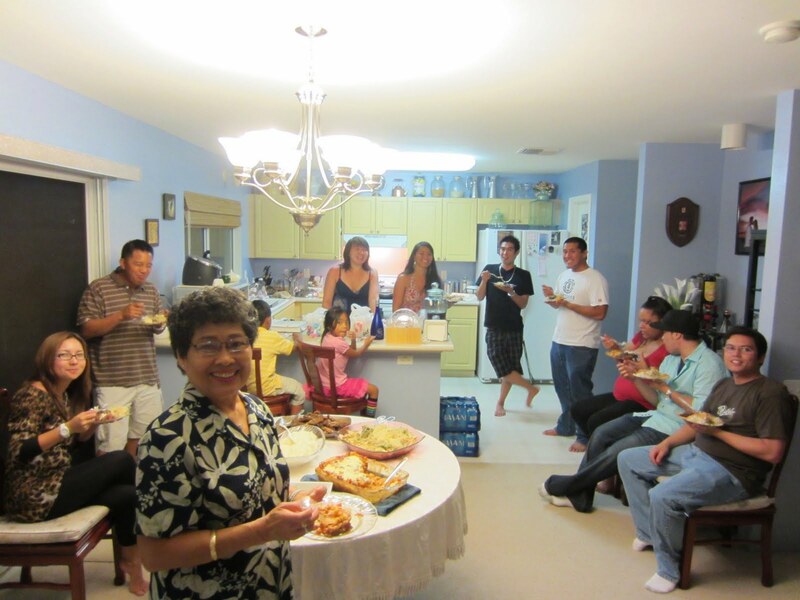 After Dole, (which was actually our last full day in Hawaii) we headed back home to my sister’s house, and prepared for my birthday party. 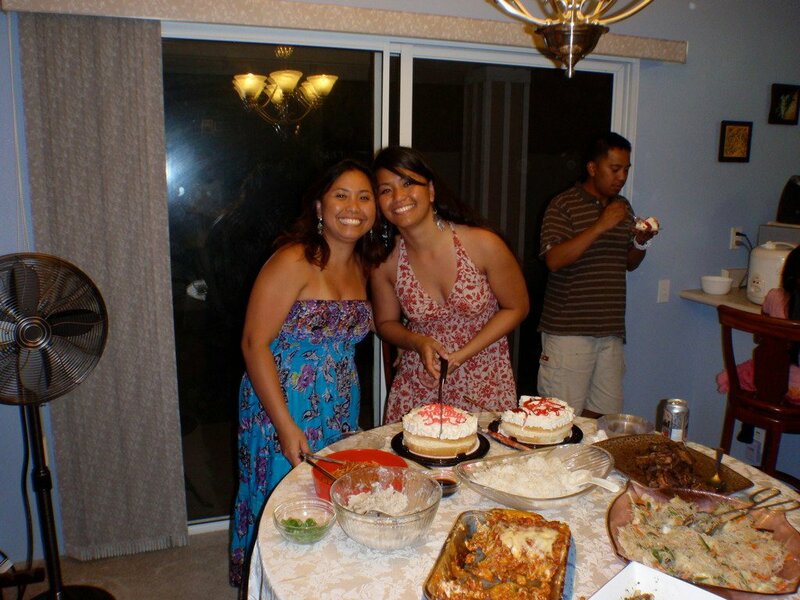 That was another reason why we went there, I wanted to have my birthday in Hawaii! 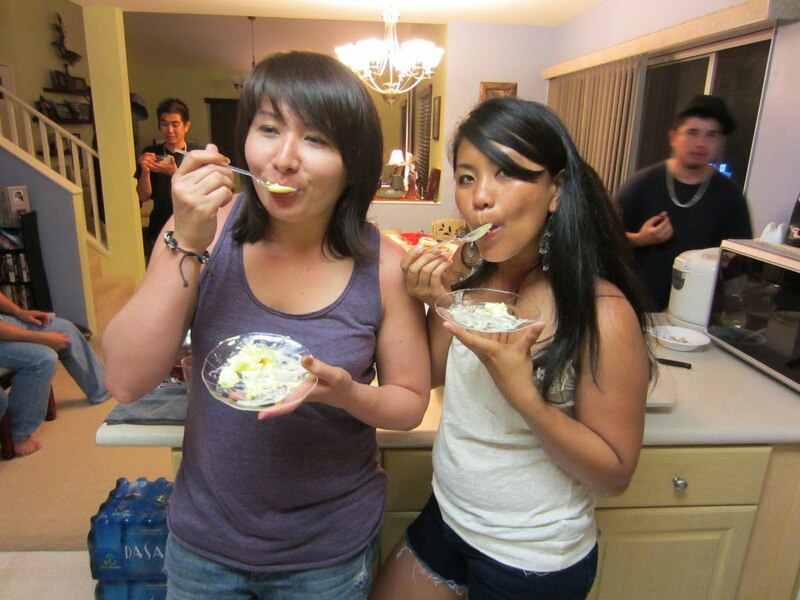 It was so much fun because of course, there was lots of good food that people brought over, I made my favorite dessert, creme brulee, and last but not least, I got to see some of my great friends from Hawaii. Most of them I haven’t seen in over 8 years! Some of my friends have never had creme brulee before and I was happy to be the first one to ever cook it for them! My sister, and me cutting my cake! 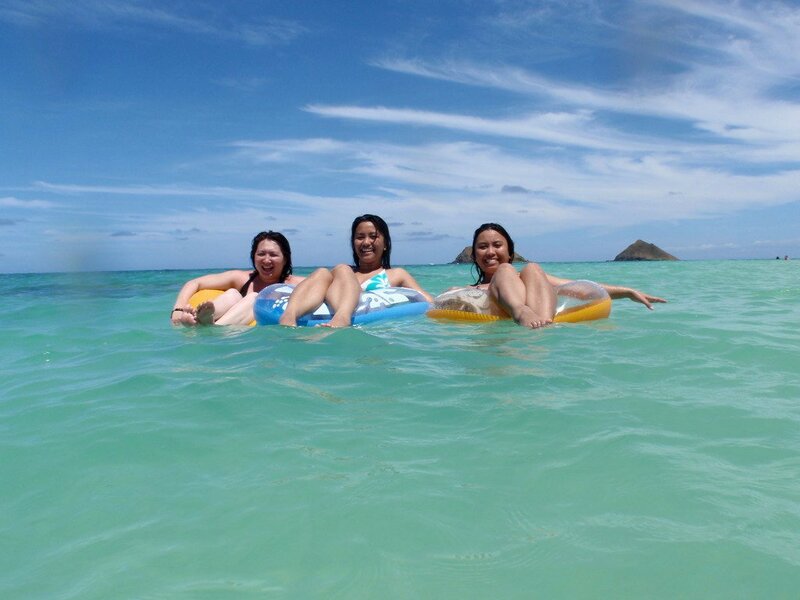 Our last day in Hawaii was pretty crazy. We had to do some last minute shopping and and we pretty much couldn’t check off any of the things we had planned for that day. To make things worse, we were late for checking in our baggage (our luggage might not have ended up in our plane), had to run like hell to check in for our flight, Tanya’s pants kept falling down after security check because we kept running, almost ended up in Seattle because this stupid lady told us the wrong gate number (but that would have been interesting, I wonder if they have ramen there? ), and almost missed our flight. But luckily, we didn’t. And our luggage made it on our plane so we didn’t have to come back for it. But I would not have minded at all if we missed our flight. That just meant we could have stayed in paradise a little longer! 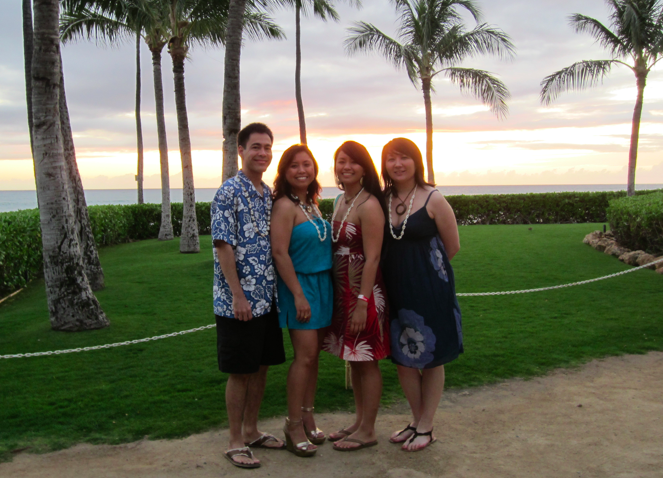 Hawaii was such a great experience for us. I haven’t been back there in 8 years so when I decided to finally go back, I wanted to make the most of it! And since it was Tanya’s first time, I made sure she got to do everything you can do in Hawaii in one week. With ramen. Hehe. 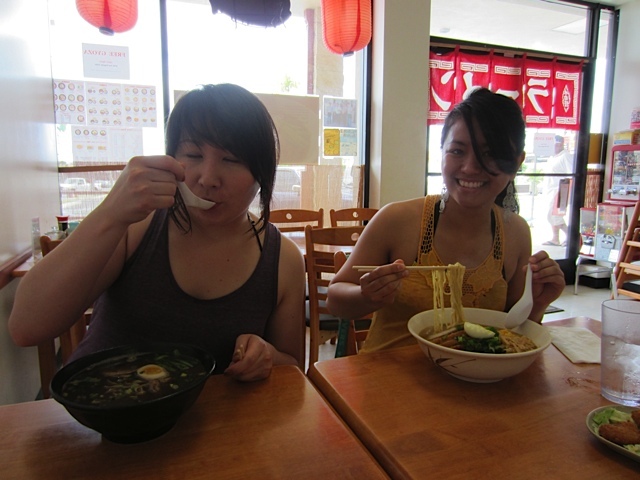 It was pretty interesting being in Hawaii for ramen because they definitely made it “local style.” We’re so used to traditional ramen out here in California, so we were definitely in for a surprise! Too bad we didn’t get to a third place like we planned, but next time! 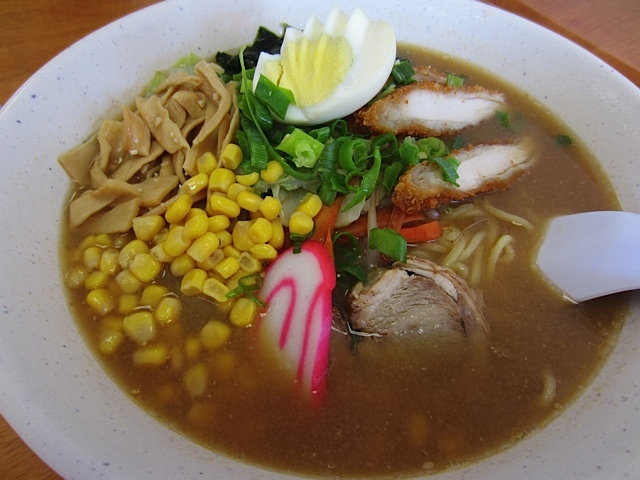 There are more ramen places to discover in Hawaii! And other parts of the world too! We came home with bad sunburns, silly photos, fun souvenirs, a larger appetite, but most of all, fond memories. We loved Hawaii. We definitely plan to visit every year. I would like to thank my amazing sister, Frances, and her awesome husband Patrick, for making our vacation the best one anyone could ever have. 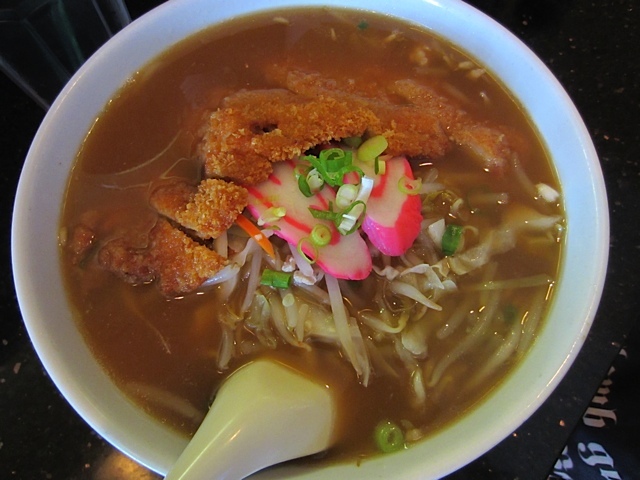 Thanks for reading and join us again on our next ramen run! 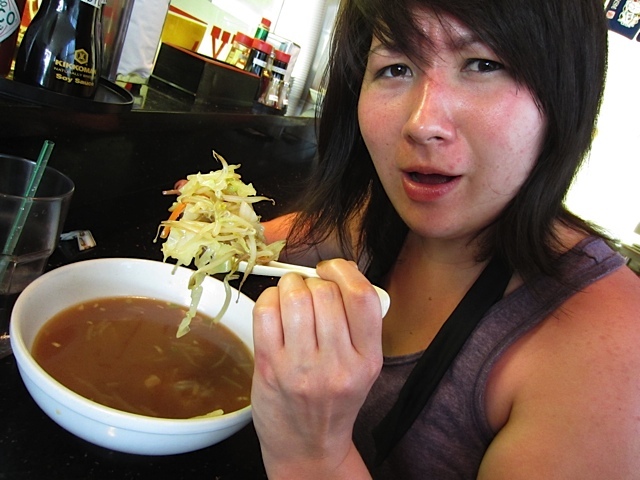 1 Response to Epic Ramen Run and More…. in Hawaii!